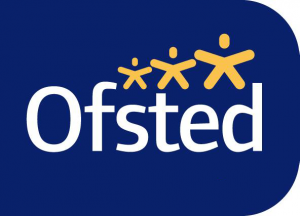 Ofsted has found an increasing number of faith schools are spreading beliefs which clash with fundamental British values and Equality Law. The schools inspectorate has offered its worrying conclusions in its latest Annual Report published this week. The report finds an increasing number of faith schools ‘… seek to isolate young people from the mainstream, do not prepare them for life in Britain or, worse, actively undermine fundamental British values.’ (p15) The offending schools were found to be more prevalent in the independent schools sector and included Christian, Jewish and Muslim schools. In some extreme cases schools were found to hold sexist and sectarian literature. The inspectorate further warned that more illegally unregistered schools are being established to avoid teaching fundamental British values and that it lacked necessary legal powers to tackle the schools. Very many of the schools are faith based and fail to provide pupils with a curriculum that prepares them for work or wider engagement in society. In 2014 all schools in England were required by Government to promote as fundamental values of British society democracy, the rule of law, individual liberty, mutual respect and tolerance of those of different faiths and beliefs. I find that the scooling has/is been worsend, as you havé said above. Do whatever you can to stop it!